(Un)Fortunately we decided to make reservations at 715pm on a Wednesday night. I got there early, 708pm. I walked in those doors and was gitty. Why? Basically, you walk in through the door and you are in the kitchen. The first thing you notice is that the kitchen is right there, out in the open. The 3 Chefs are right there, doing there thang in the same room as you. No walls separate you and them. CRAZY cool. I got seated near the kitchen but close to the door. Luckily there wasn’t much traffic in an out that it was too distracting, it wouldn’t have been anyways since both Woo and I were totally in the moment eating everything there was on our table! I ordered my drinks, a Sapphire Martini with olives which was perfectly made, and enjoyed the ambiance and the view. 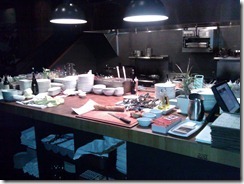 This is the kitchen! Crazy Cool. The menu is simple and right to the point. You choose from Cicchetti, Crudi, Primi and Secondi. Cicchetti is like Venetian small plates. Crudi is raw. Primi consists of salads and pastas. Secondi, the fish. Check out the menu here: http://ethanstowellrestaurants.com/blog/menu-anchovies-olives/. We decided to skip the Secondi and instead go for the Cicchetti, Crudi and the Primi. With the help of our waiter Evans and after what seemed like a very long time, everything just sounded amazing, we made our decision. (BTW, if you go there, get Evans as your waiter and have him describe the food… serious… I was sold on EVERYTHING! BTW, there is an everything button he can push to get you… EVERYTHING! Some day!) For Cicchetti, we decided on Castelvetrano Olives (w/ orange rinds, bay leaves, chili and garlic), Fried Chickpeas (w/ smoked paprika and lemon), Prosciutto di Parma (w/ Pecorino Sardo), and Burrata (Mascarpone wrapped with Mozzarella and Fig Mostrada and Saba). 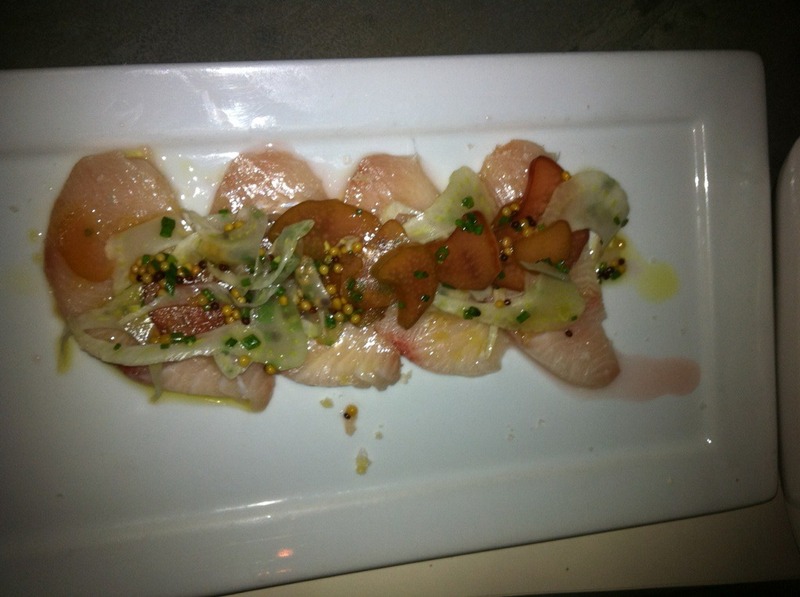 Crudi, Hamachi (w/ fennel, rhubarb, pickled mustard seeds). Primi, Risotto (w/ Gulf prawns, clams, butternut squash, roasted pepper) and finally the Potato Gnocchi (w/ octopus, prosciutto Bolognese, mint, oregano). A lot huh? We didn’t think so until the last bite. Boy oh BOY! Not your olives that you have in your martinis my friends. 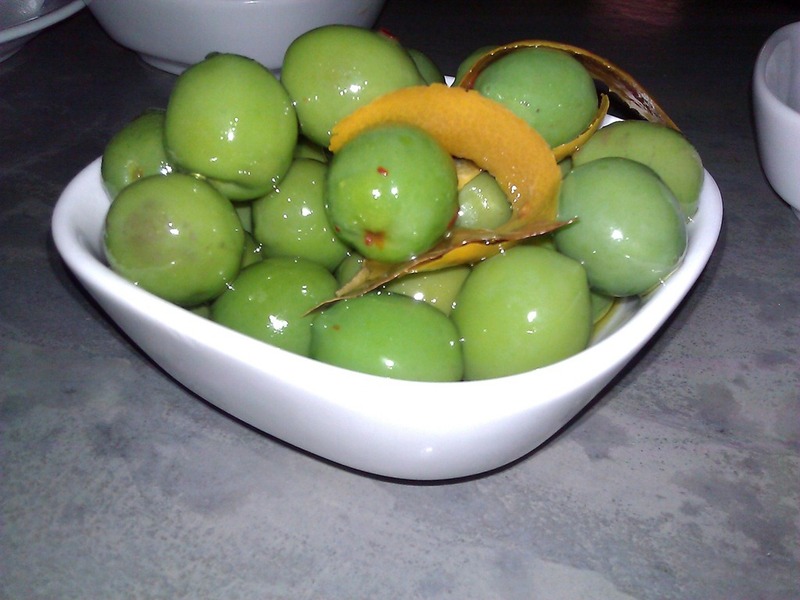 These are those lovely green, round olives you usually find in the mix. These olives were brought to another level my friends. You taste the orange, you get a hint of the chili, bay leaves and garlic. It wasn’t salty, but sweet and mildly olivey. Out of all of the things we ordered, these were the one ones that we went back and forth on and decided to get anyways. They were good but not the best out of all the things we ordered. They were full of duality. Salty and sweet with a crunchy exterior and a soft interior. They were clever and complex and you definitely taste the citrusy undertones that came from the lemons but more resembles orange. Classic Italian dish. 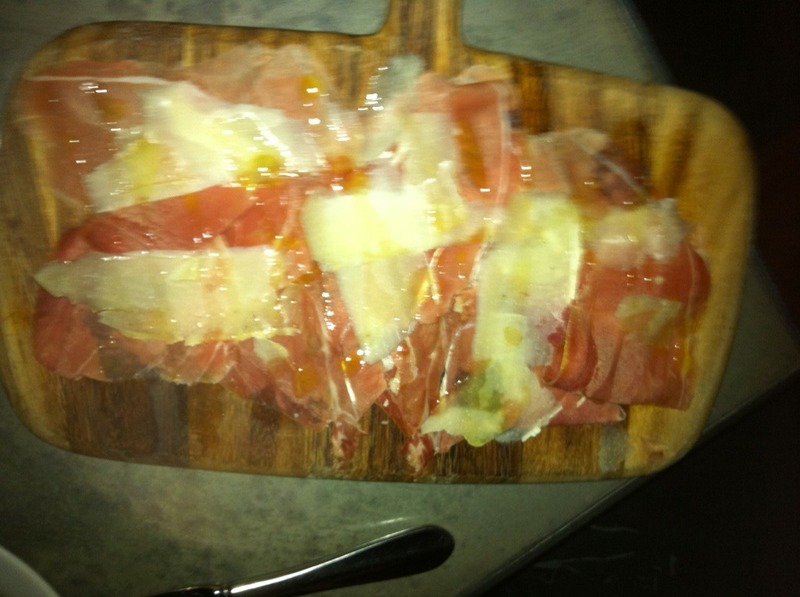 The Prosciutto was delicious and slightly salty. The Pecorino was sweet and nutty. It was a little dry, could of used a little more olive oil. There was a little that was drizzled on top of it. 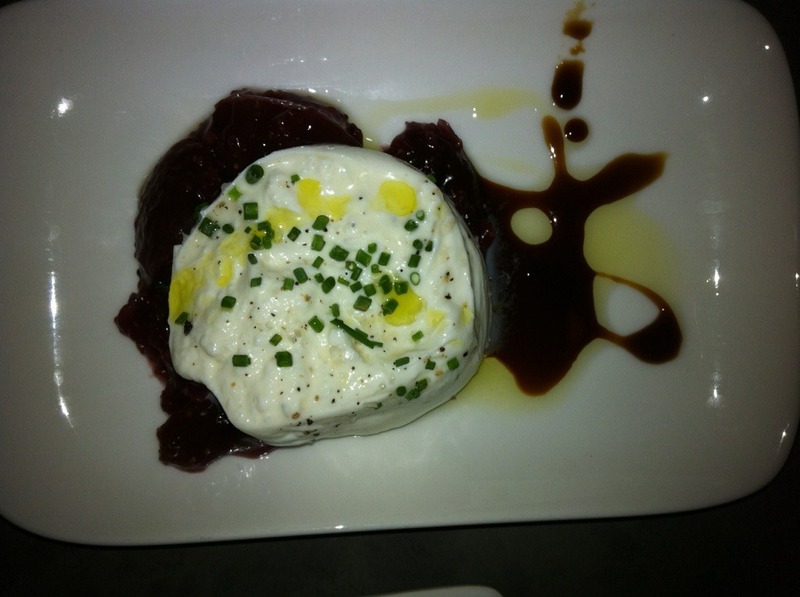 When Evans described the Burrata, you couldn’t help but wanted to order it. It looked amazing once it came to the table. I just didn’t get it. Woo did, I didn’t. It was chilled, which was unexpected. I was expecting it to come room temp but was pleasantly surprised. The cheese was really soft. It looked like it was melting when you cut into it. The fig mostrada was a bit bitter for me. I think it is because of the mustard powder. I’m not a big bitter fan so that was a distraction for me. I do love figs though and the seeds add a different feel to it when you bite onto them. If the cheese had a little more flavor to it, a sweetness or a stronger flavor, I think it will cut the bitterness down more and make it a little more pleasant. This had to be the best dish out of the whole night. It was unforgettable. The complexity of the dish alone was amazing. Texturally, you have softness of the fish balanced with the hard crunch of the rhubarb and the soft crunch of the fennel. The mustard seeds popped in the mouth as you bit into it. The fish was fresh. The rhubarb was tangy and sweet which adds to the depth of the dish. The slight licorice flavor from the fennel helps balance the dish. BTW, who knew rhubarb goes well with fish?! After the Cicchetti and the Crudi, we had our plates and silverware changed. 🙂 I love it. They took everything off and replaced it all. LOVE IT! This is Woo’s Secondi so I only had a taste of it but from what I tasted, it was pretty awesome. First thing you notice is how it is presented. It’s kinda beautiful right? 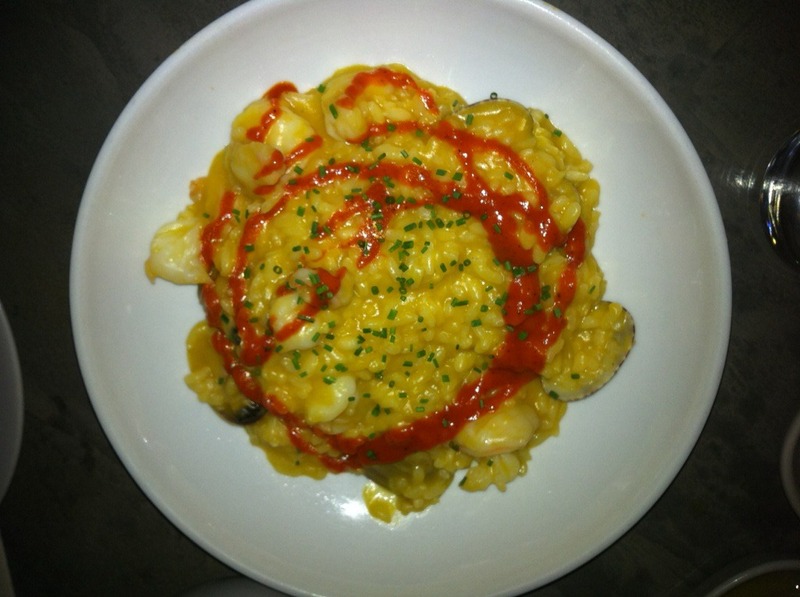 That golden hue with the red swirl and the bits of clam shell and shrimp popping out? It was creamy, sweet and seafoody, in the best way possible. (Oops, just turned into Andrew Zimmerman for a bit there.) There is also a slight kick to it too. Woo loved it but thought it was a bit salty. This is one of the dishes that Evans recommended. I was a little nervous about ordering it because it has octopus in it. I am very picky with octopus. I think I have only had it good/great once so I was taking a leap of chance here. Usually it is chewy and ew. Also, gnocchi can be easily made wrong. It can be gummy and heavy, not that lovely pillowy softness you want from it. Oh it sinks like a stone in your stomach but the mouth feel is what you really want. So to my surprise, everything was … perfect. 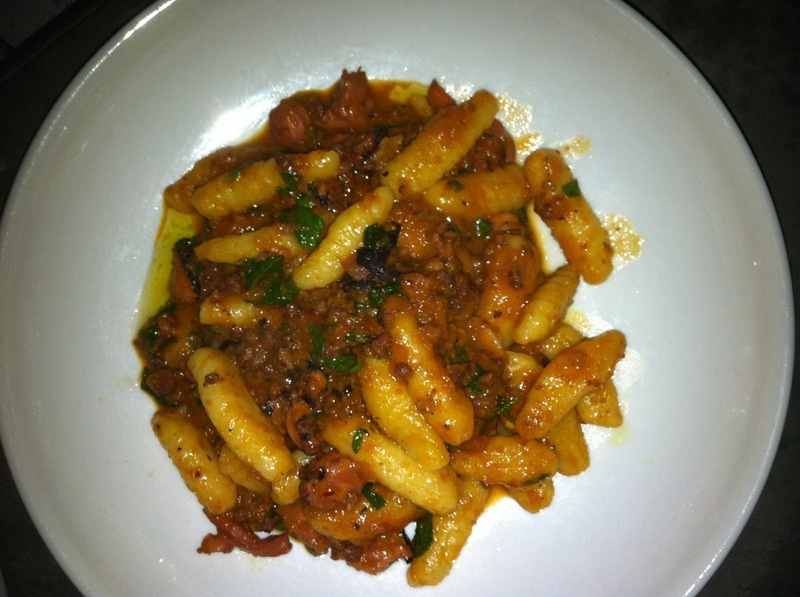 The gnocchi was perfect, soft and delicate but looks like caterpillars in my bowl. LOL. I LOVE the octopus! It was firm but gave to the bite. Kind of like biting into beef but the taste is definitely octopus. The Bolognese was sweet, tangy and slightly salty. The mint breaks through and adds an extra dimension to the sauce. Overall, my second favorite dish of the night. I needed something to cut into it though. The flavors, amazing, yet strong. I should have had bread or something to cut into it but I cleaned the plate anyways. After 5 other dishes before and then this… I cleaned… the plate. Big deal! Haven’t done that since… Herb Farm? My impression of Anchovies and Olives? A must go for any seafood lover. Worth the price. For all this food plus 4 drinks (2 each people!!! not all for me), the cost was $123.75 (w/o tip) for two people. What a deal! (OK, so we were thinking with our stomachs more than our wallets) Food was superb, service was nice plus a free show. 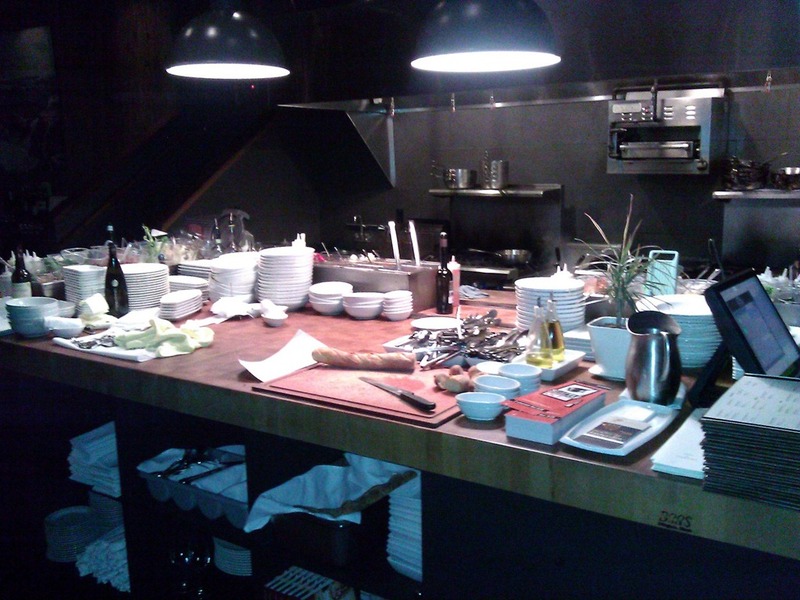 I loved watching the chefs work. Oh, quick tip, you need to ask for bread. They do not just serve it to you. Next time I come here, Ima have to try the oysters! 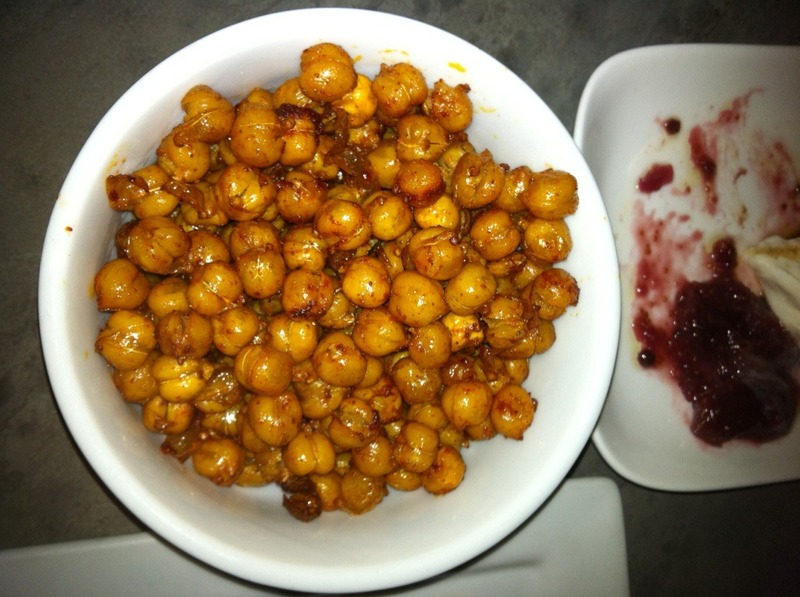 This entry was posted in Homemade Food Reviews, Out and About by Ly. Bookmark the permalink. If I had unexpectedly bonked my head and developed amnesia, I would be able to easily remember the smells, tastes and surroundings by reading your review! Can’t wait to read (and experience) your next review!